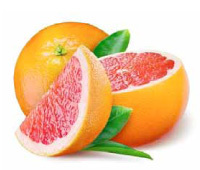 Nkwaleni Processors has more than 25 years of experience to process citrus fruit juices, concentrates and oils. Nkwaleni is a valley in the heart of Zululand and is supplied by water from the Phobane Dam. The valley comprises an area of some 6,000 hectares farmed by highly intensive and efficient farmers. Around 2,000 hectares of citrus is cultivated, of which 1,500 hectares are in production and another 500 hectares are new plantings. The climate is ideally suited for the cultivation of citrus and tropical fruits. Nkwaleni has the advantage of being situated to two harbours, Richards Bay, some 90 kilometres to the east and Durban some 160 kilometres to the south. The citrus processing plant is focused on the production of high quality citrus juice concentrate (low and normal pulp) and oils. The factory has been modernized with state of the art processing equipment. The employees are constantly trained and have been working for many years with Nkwaleni Processors. The laboratory run by a qualified food technologist insures that all quality aspects of the produced products are monitored. Our products are successfully distributed worldwide exclusively by our distribution partner Klaus Böcker GmbH. Nkwaleni Processors is very much environmental minded. A waste water management system is in place.